We talk about safety a lot. With our people, with our customers, our blast neighbors, with news reporters. Safety's the bedrock of our training, the cornerstone of our technology. 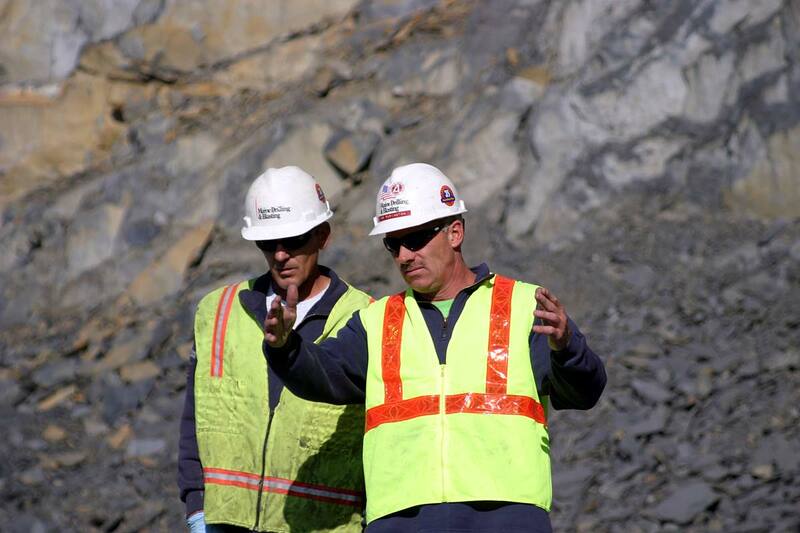 Our employees serve on safety committees led by a safety department and staffed by certified safety specialists. It's a commitment that serves us well, providing our customers, with peace of mind. And that's priceless. “Safety Starts with Me" … everyone who wears a Maine Drilling & Blasting hardhat knows it's more than a slogan. It's who we are. A commitment - a consciousness - an individual responsibility. From the top down and the bottom up, at Maine Drilling & Blasting safety is everyone's specialty. We call it "Heads Up!" Every morning every job site starts with a "hazards analysis" briefing by the foreman: "What risks do we face today? What safety measures must we take?" 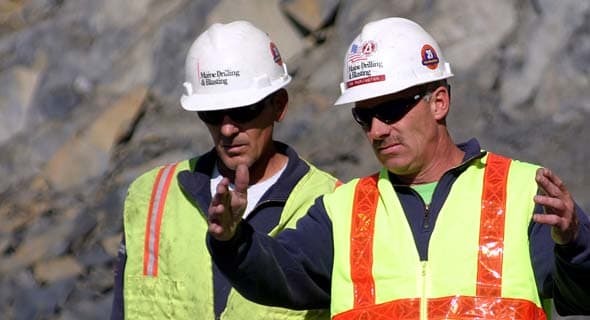 In addition to training specifically related to safety, an array of mandatory, formal job skill training courses ensures best practices on the job. 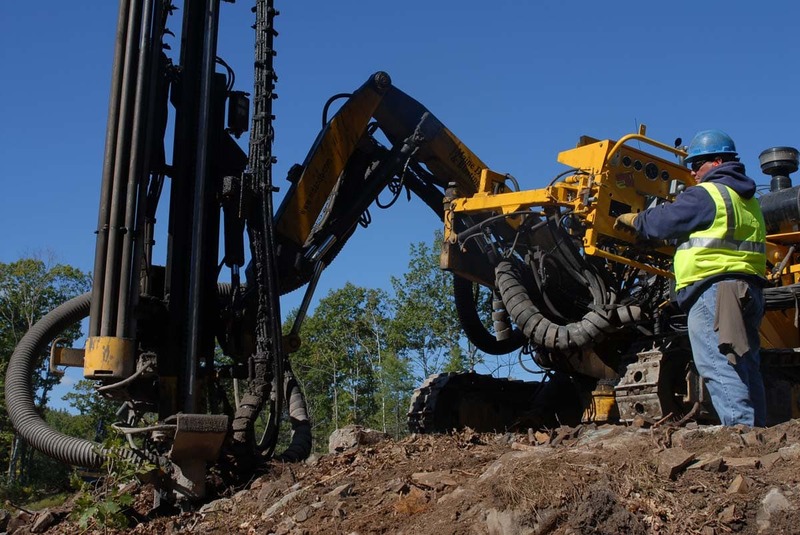 Simply put, Maine Drilling & Blasting has the best trained and most educated drilling and blasting workforce. For some companies getting together refers to the annual picnic. At Maine Drilling & Blasting, we do something special. Every year in March we hold a company-wide Safety Meeting. From laborers to executives, we all turn out. Safety's the subject, the only subject. MD&B goes above and beyond where safety is concerned. Here are just a few examples. MD&B conducts countless pre-blast surveys before rock blasting happens on a given project or in a given neighborhood. We exceed industry standards for this free service in states that impose such standards. In states that do not, we impose the highest industry standards on ourselves. 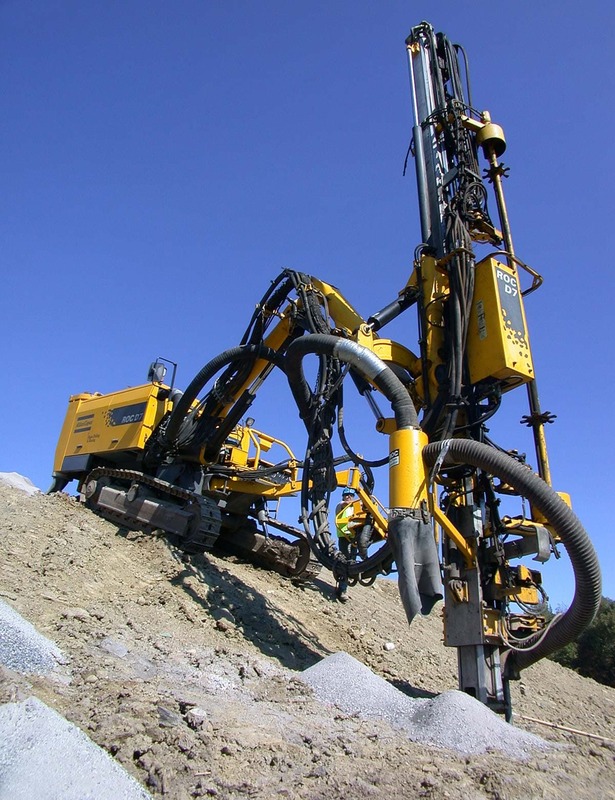 MD&B holds itself accountable for the seismic monitoring far above and beyond any industry norm – in regards numbers performed, precision equipment utilized, and recording and document integrity. We objectively measure vibrations caused by our blasts, and make those measurements available for analysis. MD&B performs a thorough site-specific Job Hazard Analysis on every project, and we reassess often due to changing project parameters. MD&B conceived of and instituted this non-industry-mandated process company-wide years ago. In our line of work, no incident is acceptable. There is no room for error. One incident is one too many. We take all incidents very seriously and are constantly modifying blast plans based on job site conditions to minimize the possibility of an incident happening. And while our record is not perfect, we'd be happy to pit our safety record against our competitions' any day. 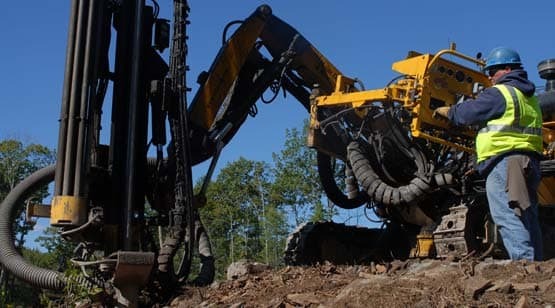 In fact, many contractors with which we work, choose Maine Drilling & Blasting specifically for our leadership in safety in the drilling and blasting field. For the last 10 years, our incident rate and subsequent costs for workers compensation claims are lower than industry averages for our workforce. We recently contracted Maine Drilling & Blasting for a geothermal drilling project at the Breakers mansion in Newport, RI. 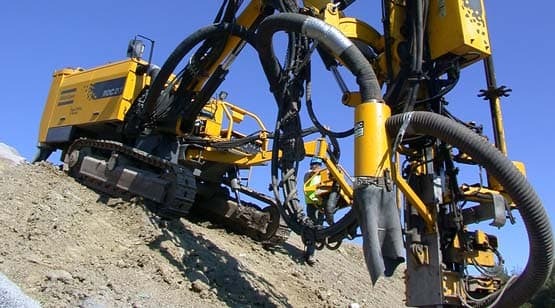 The drilling of the 75 to 100-foot deep holes went exactly to plan and schedule. The operator, Don, was professional, courteous, and great to work along side. Wyatt was also professional and another great employee that you have working with you. Hope to have this crew or another as competent as this team on future projects."